Some people seem to boast about their ability to kill plants. "Oh, I must have a black thumb." they say while buying yet another orchid on their way out of the supermarket. The question is, do you want to have houseplants that are more like a longer lasting bouquet of cut flowers. Or, do you want something that apparently thrives on neglect. There are easy care plants that can even deal with it if you go on vacation. It's not just about the plants, though. A plant can grow in the black plastic pot it came in, but the aesthetics are not great. Fortunately there's a useful, pleasant book that explains both sides of the equation. 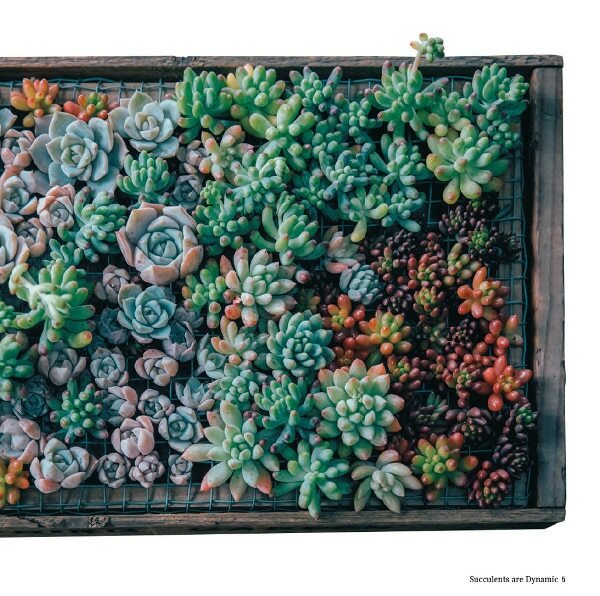 Succulents have a wonderful diversity of shapes and sizes, and come in a range of colors. So even when not in flower they provide interest and color. 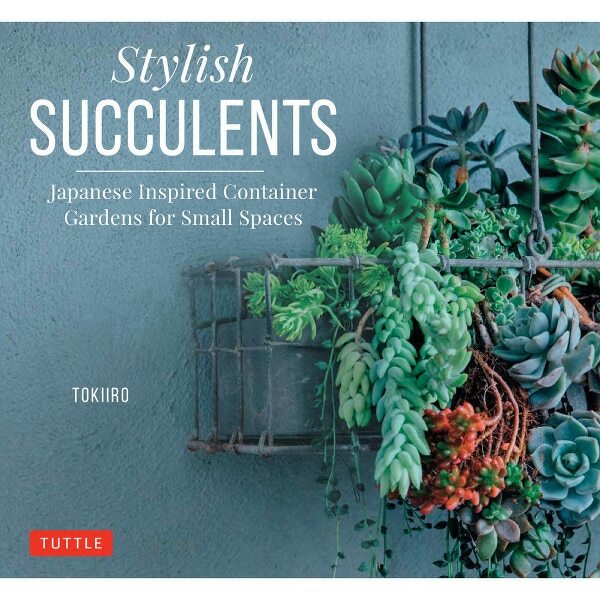 Tokiiro (that's actually Yoshinobu and Tomomi Kondo) provide suggestions and guidelines ranging from one plant in a modest container to combination plantings that are not much larger. All the succulents mentioned here are tender to frost. They're for the house, apartment, office and not for the outdoor garden. 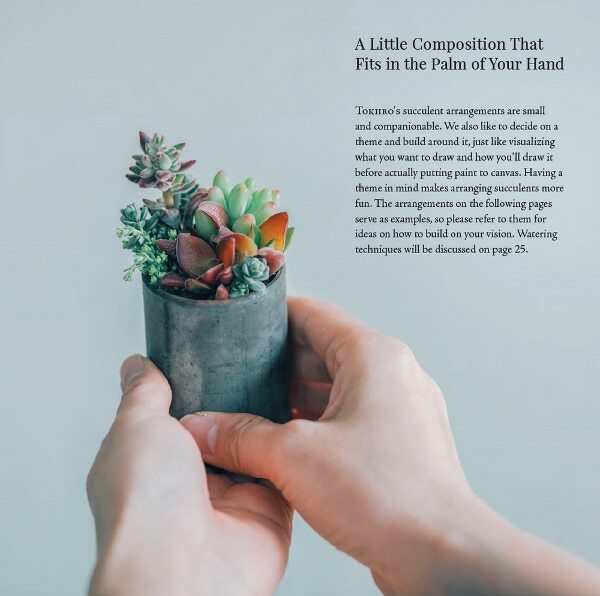 Many of their container gardens would easily fit in the palm of your hand. 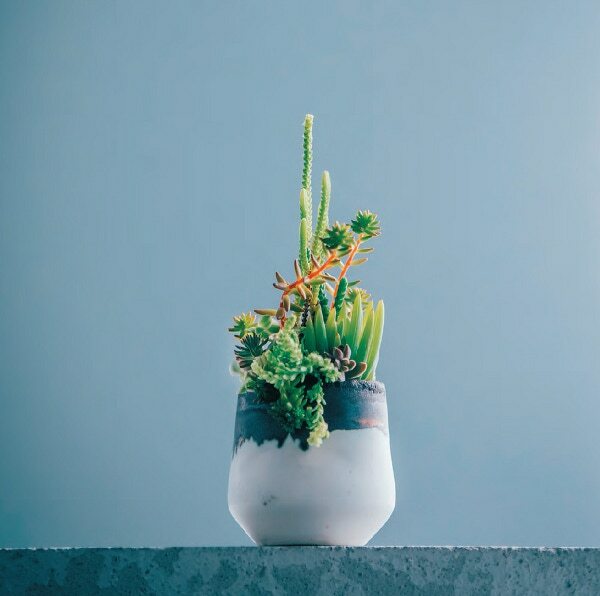 Which is something that has the appeal of the miniature, the appeal that you can pick it up and admire closely, doing so safely because succulents - unlike cacti - do not have thorns. But then, I wonder, what happens when the succulents thrive. And grow. There is a little information about propagating them. A slim book, there is a generous amount of information packed in this compact volume. You find a succulent, perhaps several succulents. They're all in those boring, déclassé nursery pots and, once home, need to be repotted into something with more style. 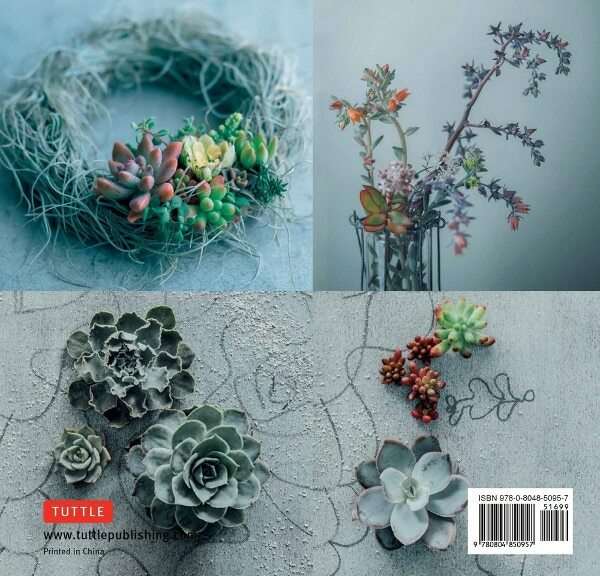 Profusely illustrated, Stylish Succulents offers information on tools and materials early on in the book. Helpful explanations - why this particular kind of tweezer, and so on. 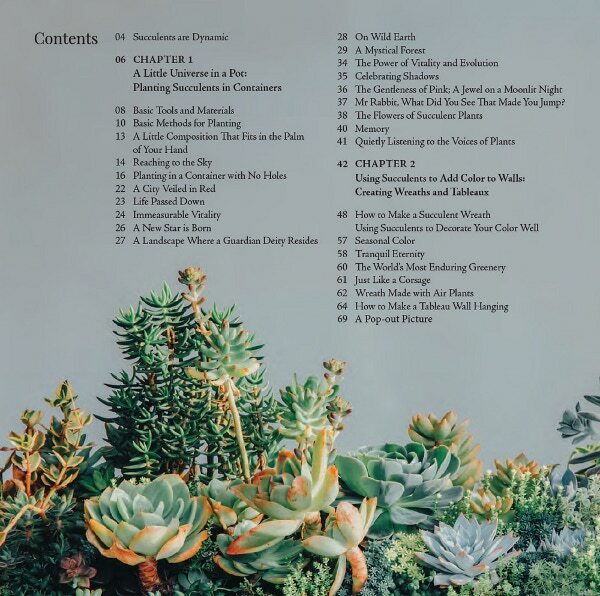 Soil is glossed over with the suggestion that you use "soil for succulents which is sold at home centers, gardening stores, and so on." Create your planting scheme in your hand, as though it was a bouquet, and only after this, place in the container. Tweak your design before adding and firming the soil. Containers that do have a drainage hole are preferable. There are directions for making a hole if the container does not have one. 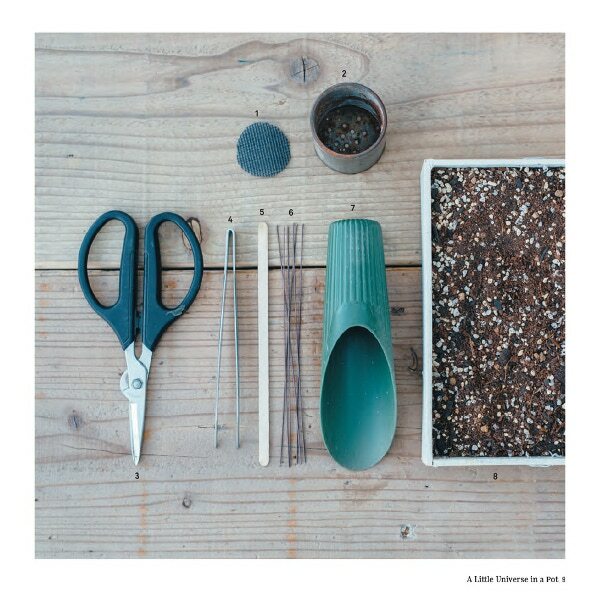 However there are directions for planting in a container that has no holes. Watering must be done very carefully in this situation. this one, can you imagine a miniature, mystical forest? Tokiiro thinks, yes. There are directions for hanging succulents, others for creating wreaths. wreath is easy. Detailed directions and several illustrations make it simple. Originally published in Japan in 2017, this English language version is sensible and easy to follow, (much better than the directions that come with electronics.) The majority of plants are given their Latin names, a few instead have poetical common names. Concepts are explained, easy to follow directions guide the novice gardener. 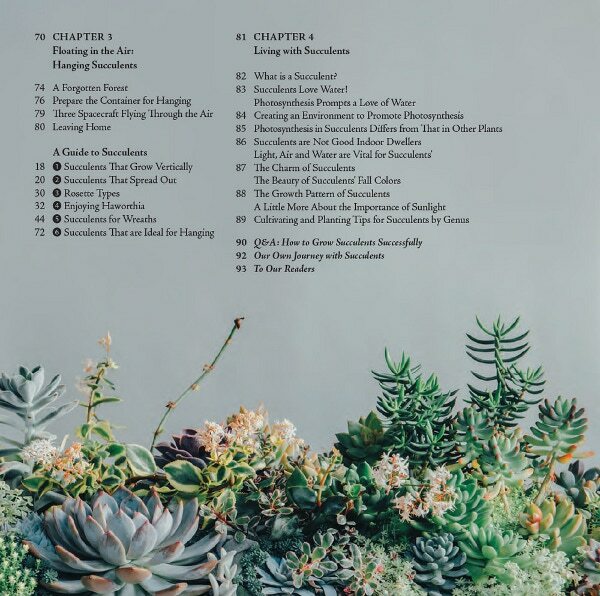 Gardening with stylish succulents, you'll find that your quondam black thumb is greener than you thought. Tuttle Publishing, a division of Periplus Editions (HK) Ltd. Translation copyright 2018 by Periplus Editions (HK) Ltd.